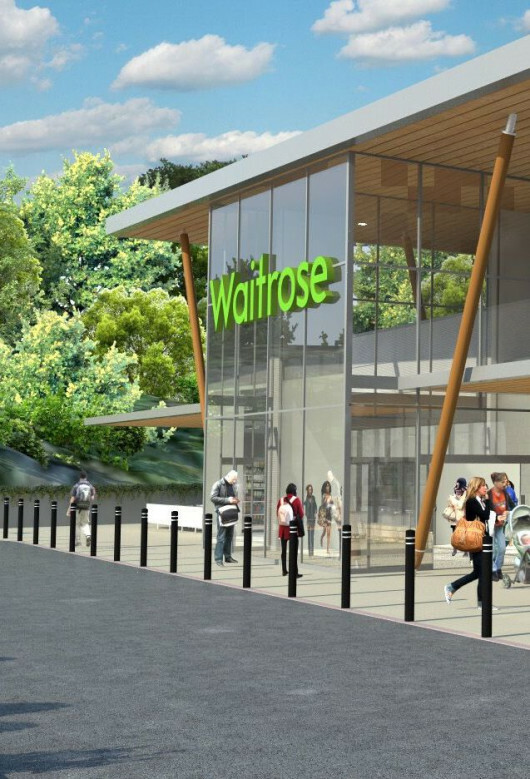 Acting for Gallagher Properties and Waitrose, gdm Architects designed and gained full planning consent for a new Waitrose store and associated parking next to junction 7 of the M20. 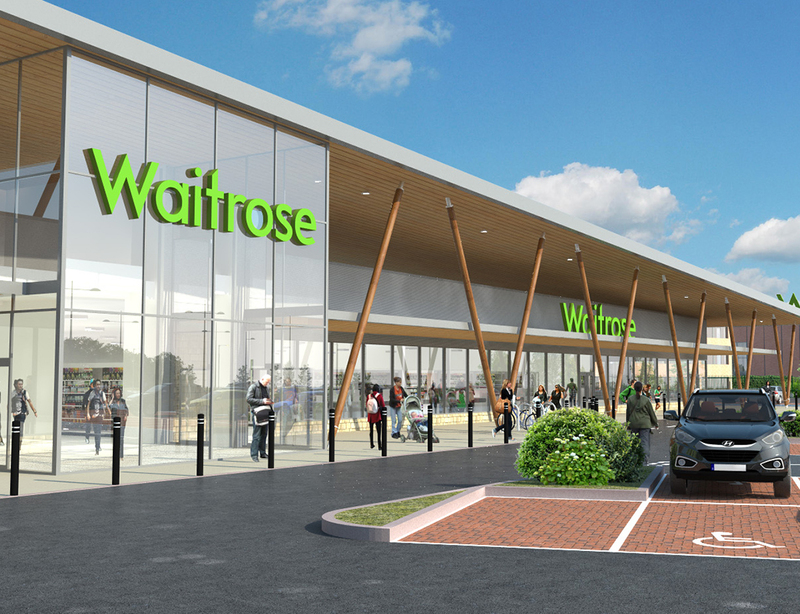 The proposal is for a 14m, 42,000 square foot store and 300-bay car park which will occupy an area just under 1.5 hectares within Eclipse Park, Maidstone. The design for the proposal has been generated from the internal functions of the store layout, Eclipse Park influences and its location within the site - together with an architectural approach that is exciting and complements the Eclipse Park quality brand, creating a special customer shopping experience. A feature of the design is a high level feature canopy which draws the eye from the lower approach to its high point over the store entrance.